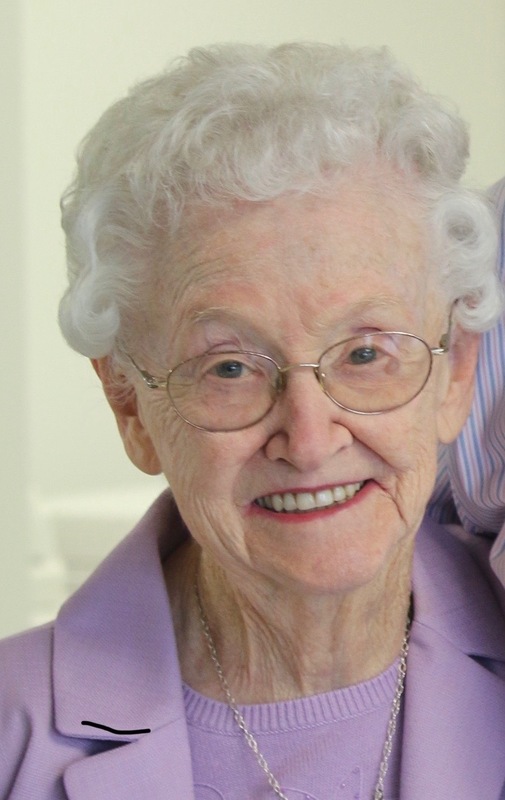 Liberty, Missouri…….Hazel Jean Waltemath died peacefully in her home on January 24, 2019 in Liberty, MO at the age of 93. Jean is survived by her daughter, Paula Earhart of Liberty, MO, sibling, Stanley (Helen) Crabill of St. Joseph, MO, grandchildren, Janna (Jay) Thomason of Liberty, MO, Todd (Michelle) Earhart of Naples, FL, Daniel (Jeanne) Earhart of Roeland Park, KS, great grandchildren Aubrey, Nick, Luke, Caroline, Paul, and Owen, and numerous nieces, nephews, and cousins. She is preceded in death by her husband, Paul Waltemath, siblings, Erna Lee Owen and her husband Clark, Martha Crabill, Wilma Schilling and her husband Art, Mae Harlan and her husband Junior. Jean was born on April 19, 1925 in Maysville, MO to Guy Stanley Crabill and Opal Mae DeHart. She graduated from Maysville High School in 1943 and married Paul Harman Waltemath in 1948. Jean and Paul welcomed their only daughter, Paula Earhart, into their home after a few years of marriage. Jean dedicated 35 years of service to Mo-Kan Regional Council before retiring as Executive Director in 2003 at the age of 79. Following retirement, Jean volunteered weekly at the Immacolata Manor Thrift Store through the age of 92 and served on their Board of Directors. Jean was a long-time member of the P.E.O. Sisterhood and a dedicated member of the United Methodist Church. Jean lived a life that was fiercely devoted to her family and to the betterment of her community. To have known Jean is to know kindness and love in an unconditional way. She will be remembered and admired for her strong work ethic, open and giving heart, and as a role model for generations. Those touched by her life extend well beyond family, as she was very lovingly called upon as family by those who had the pleasure of knowing her. honored and grateful to have known your mother. I know she loved her family and know you will have wonderful, happy memories of her. All our love. Jean Waltemath, lovingly called “GG” by her family took us into the family the first time we met her! It was May 1999 when we arrived for the wedding of Janna Earhart and Jay Thomason. I knew that Jay had made a great decision because of the love, hospitality, and camaraderie of the entire family! We love you “GG” and thank God we met you!